Taiwan – As one of the most influential Buddhist organisations in the world, Taiwan’s Dharma Drum Mountain (DDM) embraces environmental protection within its Buddhist practices. 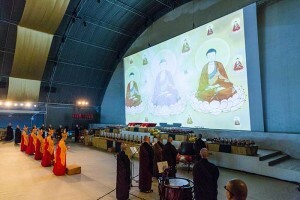 For two recent events – the second Global Followers Assembly and the annual Great Compassion Water and Land Dharma Service – DDM employed modern digital technology and LED lighting to conserve energy and reduce pollution, seamlessly integrating advanced science and art into their traditional ceremonies. 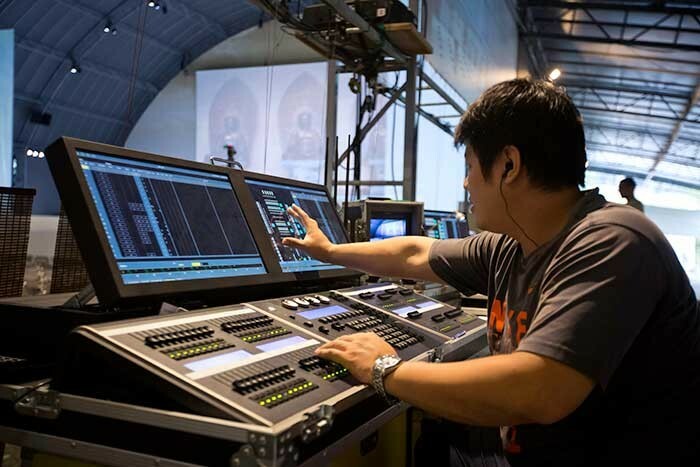 ETC’s Taiwanese dealer, Ming Li Engineering & Consultant Co., LTD., provided ColorSource and Source Four LED Series 2 luminaires and an Eos family control system to light up the two great events. 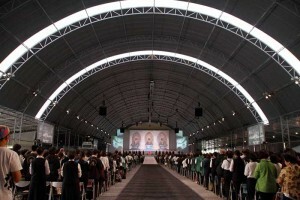 Both the Global Assembly and the Dharma Service were held at the DDM World Center for Buddhist Education in Taiwan. 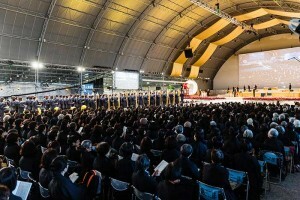 Approximately 10,000 followers from around the world attended the 2015 Global Assembly, and afterwards the participants could attend the Dharma Service, which gave followers the opportunity to reverse bad fortune, worship gods, do charity and be liberated from suffering. 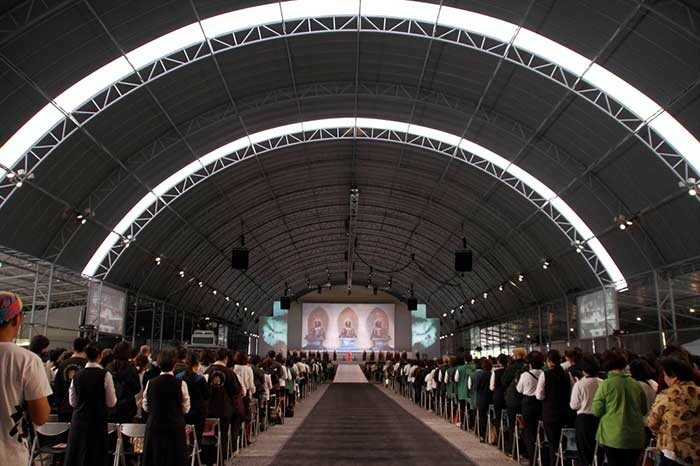 In line with their green vision, DDM no longer permits the tradition of burnt offerings, and instead applied sophisticated multimedia technology – such as digital memorial tablets and projections of Buddha’s image – to save resources.